Starting from the Église Sainte Elisabeth, now the parish of the Knights of Malta – the successors of the Knights Templar – we relived the almost 200-year history (1119-1307) of these men who once set out along the roads of the East to defend Jerusalem and protect the pilgrims. Just like the knights, then dressed in white mantles with a red cross (symbols of innocence and martyrdom), we roamed around this area of Paris. We crossed Rue du Temple, which once would have been the entrance to the vast six-hectare estate, La Villeneuve du Temple – a city within a city, granted special privileges by the Pope himself. These privileges, along with the Order’s financial strength, offended the king, Philippe le Bel, who sought absolute power and had chronic financial problems. On October 13, 1307, he ordered the arrest of every knight across France. The order was dissolved on the charge of heresy based on confessions made under torture carried out by the Inquisition and, in 1314, Grand Master Jacques de Molay was burned at the stake. 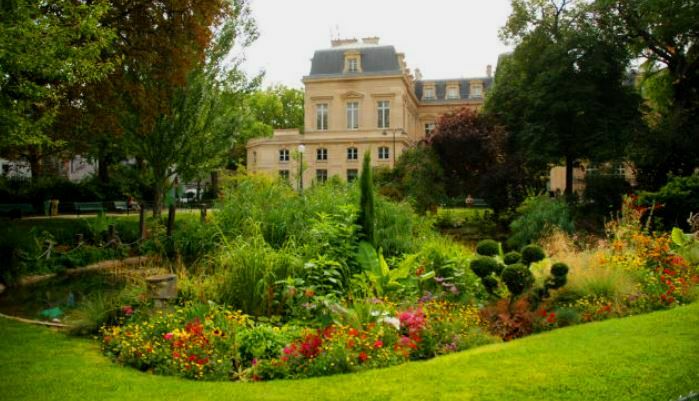 In the charming Jardin du Temple, we conjured up images of the Palais du Grand Prieur and the Tour de César, which housed the Royal Treasury and where Louis XVI and the royal family were imprisoned before ending up guillotined… Both buildings no longer exist; fearing royalist pilgrimages, Napoleon had the Tour de César razed to the ground in 1808, and the palace was replaced by a garden designed under Napoleon III. 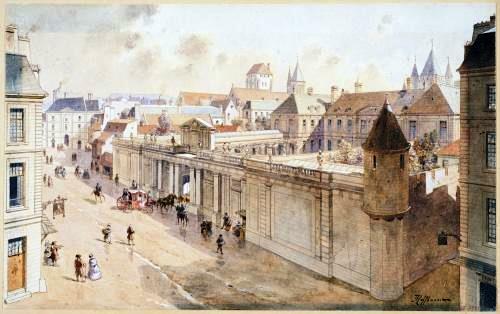 But the Order of the Temple was also exempt from paying taxes and, as a result, business flourished in their fortress, known as the Enclos du Temple. Today you can still see the Carreau du Temple, which has transformed over the years from a round, wooden structure to its current elegant cast iron and glass design. In recent years it has been restored and is now a vibrant centre for sports, culture and various events. 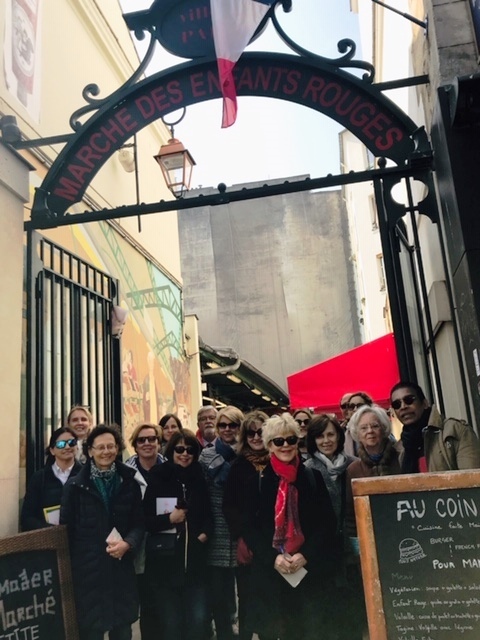 We ended our tour at the Marché des Enfants Rouges, the oldest market in Paris, where in 1914 you could still see a dozen or so cows. On the menu for lunch: a pastilla de volaille with oriental flavours of cinnamon and turmeric… a well-deserved reward after our long adventure!